Mounted in a Halo Style Band of Precious 14K Metal, the Fire, Brilliance and Beauty that these stones emanate will please the beholder for decades to come. 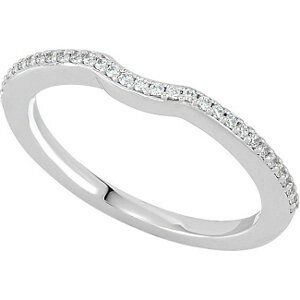 Show her the beauty and brilliance that she is worth with a Genuine Diamond Band in 14 Karat White Gold. Shape: Round Cut offers one the highest amount of Brilliance and Sparkle. Facets: 58 perfectly cut facets that create an ideal cut stone with the highest scintillation and refraction possible. Clarity: Excellent SI-2 Eye Clean and no visible flaws. This is considered to be one of the highest qualities available for gemstones. 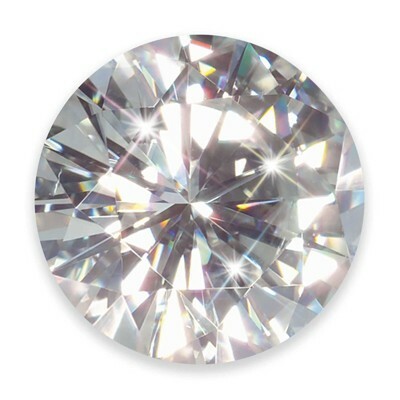 Color: White G-H-I Near Colorless stone allows for maximum brilliance and beauty will complement other surrounding diamond accents and gemstones in precious metals. Metal: 14K White Gold Four Prong Mounting. 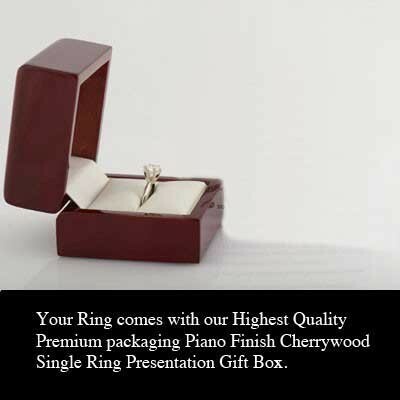 This Ring includes a Certified Genuine Moissanite stone from Charles & Colvard with Certificate and Lifetime Warranty.